Prepare corn for boiling. Drop the corn into a large pot of boiling water that has been seasoned with sugar. Boil three minutes and remove corn right away. 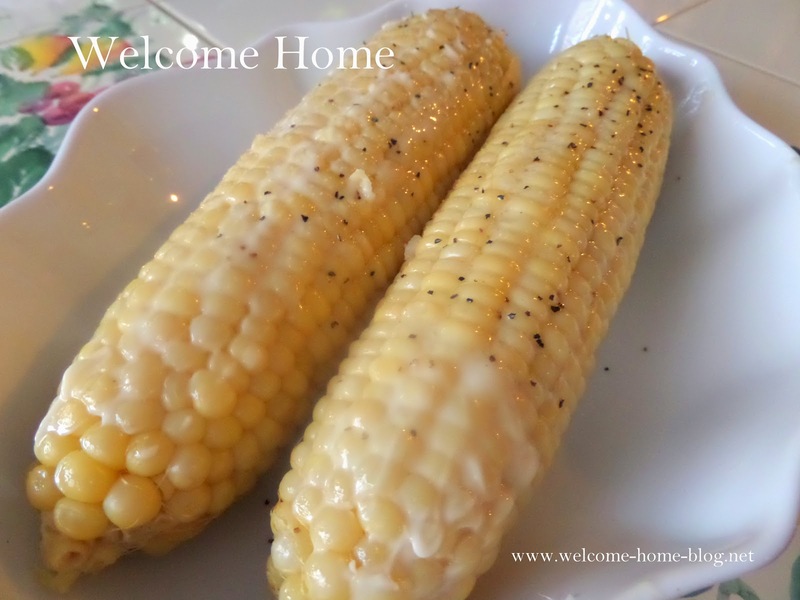 Spread melted butter all over corn and salt and pepper if desired. Sprinkle with Old Bay seasoning for a real treat! But that's coming from a Maryland girl! LOL! Fill a large saucepan with equal parts water and whole milk. Use enough liquid to fully cover the corn, but make sure the pot isn't more than halfway full, as the milk expands rapidly after it hits a boil; this allows you time to pull it off the heat. Put the saucepan on a burner over medium-high heat. Add 2 tablespoons of sugar. Do not add salt to corn or it makes the kernels tough. Add the corn to the milk and water as soon as it hits a boil. Cover the pot and wait for the liquid to hit a boil again. This should take about 3 to 5 minutes. Remove your pot from the heat as soon as it starts to boil. Cover and leave it on the stove but off the burner for about 3 minutes. Your corn is ready to butter up and add salt and pepper. So tender and sweet! I am in suburban Philly and spent all my childhood summers in Ocean City, NJ. As much as we went for the ambiance of the shore, we went for the corn, tomatoes and peaches. I love Silver Queen corn and have often cooked it in half water/half milk with great success, and yes, with a bit of sugar added, never salt.